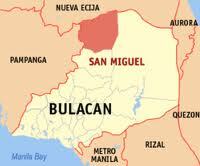 Farm Master Resort in San Miguel Bulacan is situated in one of the farthest part of this province. If you are looking for nearby Manila public swimming pool to enjoy this summer vacation and spend the rest of the day, you are always welcome to visit this village resort. Very little can be found about the details of this resort but upon looking in to some online websites, I found one that is closely or could be the official site of this Bulacan resort. However, there is a resource that you can try to visit to see the different resort pictures and other related information that you might be looking for like how much a room reservation costs as well as the entrance fee to the pool. As part of a segway visit, you can try to come to the San Miguel Bulacan market and a few friends living there is worth your interest. For one, you can come to buy the popular delicacy in San Miguel which is the "kesong puti". To buy, you can contact Lani Buencamino through their official Facebook page. A resort inside a subdivision, Farm Master Resort is definitely a must visit and if you wanted to buy a unit of house and lot in the village, you can contact them here - https://www.facebook.com/pages/Farm-Masters-Village/483043635171469. One of the best features of this resort is their big conference hall venue. They seem to have only 2 swimming pools - 1 for adults and 1 for kids. Not sure what range of age with kids can swim to this pool. They also have a basketball court for recreation activity. There is also a tennis court, a pond and mango orchard inside the farm resort and is also equipped with cabana huts for grilling and stay. A health spa may also be found in the vicinity as part of the need to extend to a full weekend relaxation mode. You may also watch an unofficial YouTube video presentation below from some people who've been there who shared and uploaded their escapade inside the resort. The town is around 75 kms. north of Manila, the business center of the country. Route #1: From North Luzon Expressway at Balintawak Exit. Take the exit at Sta. Rita (approximately 30 minutes). Just follow the Cagayan Valley Road passing through the towns of Plaridel, Pulilan, Baliuag, San Rafael and San Ildefonso. Take the buses that ply the Cagayan Valley Road route. Some of these buses are Baliwag Transit, ES Transport, and Five Star Transport. The buses will reach the town in about 2 hours.